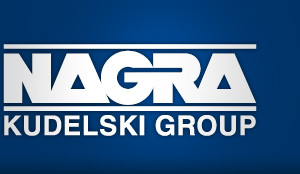 For the purposes of this Privacy Notice, "Services" refers to marketing, promotional, and customer relationship management activities carried out by Kudelski S.A. on its corporate website www.nagra.com and unless expressly specified herein, does not include personal information collected by products and solutions commercialized by the Kudelski Group, which are governed by privacy terms made available with such specific products and solutions. As a visitor to our public website and landing pages, you can engage in various activities, such as downloading publications, requesting additional information or subscribing to mailing lists (via online forms, or email addresses, including: info@nagra.com and communication@nagra.com. To sign up to press releases and other business and events-related news, you will need to submit an online form, containing personal information. This can include: first and last name, company name, job title, mailing address (including zip code), e-mail address, telephone numbers, country of residence. You can unsubscribe at any time using the link provided in the email, by contacting us directly at info@nagra.com or by writing to us at Kudelski SA, Corporate Communications Dept., Route de Genève 22-24, 1033 Cheseaux-sur-Lausanne. We may receive information about you from other sources, including publicly available databases. We may also share information between our affiliated companies. This helps us keep records up-to-date. Usage data, such as time spent on the site, pages visited, links clicked, language preferences, and the pages that led or referred you to our sites. Essential website cookies: These cookies are strictly necessary to provide you with services available through our website, subscription services and mobile apps and to use some of its features, such as access to secure areas. Analytics cookies: These cookies collect information that is used either in aggregate form to help us understand how our website and subscription services are being used or how effective our email campaigns are, or to help us customize our website for you. You can typically manage cookies via our “Cookie Preferences” link provided at the bottom of each page of the site or via your browser settings. In order to do this, follow the instructions provided by your browser (usually located within the “settings,” “help” “tools” or “edit” facility). Many browsers are set to accept cookies until you change your settings. Please note that Kudelski S.A. is not responsible for the content or privacy practices of non-Kudelski S.A. websites to which the website may link. You should review the privacy notice of such websites before using the sites. We will on occasion share your information with third parties as described in the notice. We may share your personal information with affiliated companies within our corporate structure and as needed for legal purposes. The legal basis for the processing of your personal Information as described above is your consent or our need for processing your personal information in order to be able to provide you with the requested information. You have the right to withdraw consent at any time, without affecting the lawfulness of processing based on consent before its withdrawal. When you submit personal information to Kudelski S.A. or one of its affiliates through a website or other digital and print means, you understand and agree that this information may be transferred across national boundaries and may be stored and processed by Kudelski S.A. and its affiliates in any of the countries in which the Kudelski Group maintains offices, including without limitation, Switzerland, Norway, the USA and Singapore. We put in place appropriate contractual data protection agreements or use other appropriate legal mechanisms to safeguard the transfer of information. Our policy is to retain your data for a reasonable period of time, taking into consideration our need to provide information that you have requested on company, service and product development and comply with legal requirements.